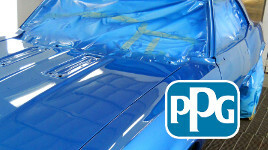 One destination for all Auto Body & Collision Needs! At Auto Body Center we use the latest auto body collision repair technology. 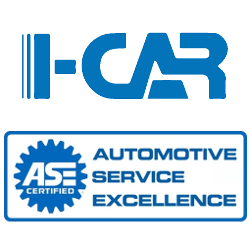 Our I-CAR and ASE certified technicians work hard to bring damaged fenders, broken windshields, bent frames and dented doors back to life. Since 1983 we’ve put thousands of cars back on the road. 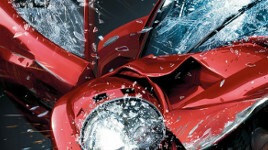 A cracked or broken windshield can be a serious safety issue. Our certified technicians are trained using the latest glass replacement technology. From rock chip repair to replacement, you can rest assured that your windshield or auto glass has been installed properly. Hail damage is no fun. Late summer in Montana is prime hail season and can turn a car from pristine to swiss cheese. 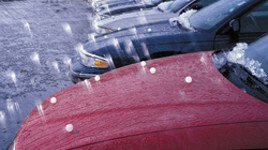 Don’t worry… at Auto Body Center we have the specific tools required to repair all types of vehicle hail damage. Driving when your vehicle is banged up can be challenging and depending on the damage, not safe. Don’t worry. 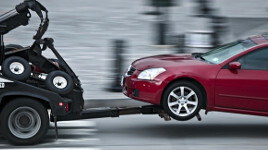 We can have your vehicle towed into the shop for your collision estimate and auto body repair. Give us a call at 406-587-5576 today if you need to set up a towing appointment.